Sale of The Laserflex Corporation to Chicago-Based Joseph T. Ryerson & Son, Inc.
Kegler Brown’s Mergers + Acquisitions team advised The Laserflex Corporation and its shareholders on all aspects of the sale of the company to Joseph T. Ryerson & Son, Inc., which closed in early 2017. Laserflex, a privately owned, full-service precision metal fabricator specializing in laser material processing technology, relied on Kegler Brown to negotiate the definitive share purchase agreement, as well as all ancillary agreements, including employment agreements and agreements among the selling shareholders. Kegler Brown’s lawyers advised on all additional aspects of the transaction, including tax matters, ERISA matters, labor and employment matters and environmental matters. 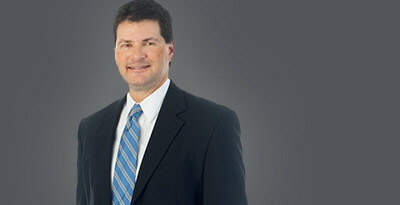 Kegler Brown served as counsel to The Peerless Saw Company in connection with its founders’ 2016 sale of 100% of the stock of the company to a newly created Employee Stock Ownership Plan sponsored by the company. Kegler Brown advised the manufacturer and its founders on all aspects of the transaction, including negotiating the stock purchase agreement, hiring an independent ESOP trustee, forming the ESOP, and structuring the terms of the sale and related ESOP terms. Kegler Brown served as counsel to an Ohio-based laundry and dry cleaning product supplier in connection with its sale to a Michigan-based private equity firm. Our lawyers advised the supplier and its owners on all aspects of the company’s sale, which was completed in mid-2016. Financial terms of the deal were not disclosed publicly. Kegler Brown has served as counsel to Jeni’s Splendid Ice Creams, which is consistently recognized as one of the country’s best dessert boutiques, for many years. Early in 2016, as part of our firm’s continuing role as a strategic business partner to the company, our lawyers advised the company’s owners throughout a series of capital infusion transactions, including multiple sales of convertible notes and equity warrants to national private equity investors. These transactions ultimately resulted in the sale of a controlling stake in the company, though financial terms were not disclosed. In February 2016, Kegler Brown represented a diversified financial services and management consulting firm throughout the entirety of its acquisition of 100% of the stock of a Tennessee-based company that provides collection services and accounts receivable management. The sale of Resource Ammirati to IBM made national headlines because the digital leader became the first strategic creative agency acquisition for IBM’s Interactive Experience business unit. Kegler Brown worked closely with Resource Ammirati shareholders and their IBM counterparts throughout the process, including identification of buyer, negotiation of terms, Hart-Scott-Rodino antitrust clearance, and final consummation. Kegler Brown has served as counsel to Resource Ammirati for many years, providing comprehensive legal services in numerous areas and facilitating a number of transactions that have made news in the advertising world. The deal officially closed in February 2016 and financial terms were not disclosed publicly. In October 2014, the lawyers at Kegler Brown represented Palmer-Donavin in the purchase of substantially all of the assets of J.B. O’Meara Co. Palmer-Donavin and its Seal Rite business line are among the nation’s leaders in the sale and distribution of residential building supplies and authorized distributors of Therma-Tru Doors. J.B. O’Meara Co. supplies building materials and is an authorized Therma-Tru distributor in the states of Minnesota, North Dakota, South Dakota, Iowa, Wisconsin and Illinois. Financial terms were not disclosed. Our lawyers advised Ohio Heritage Bancorp on its cash-and-stock merger with Peoples Bancorp Inc. for total consideration of approximately $37.6 million. Ohio Heritage Bank operates six full-service banking locations in Ohio. Peoples Bancorp is a NASDAQ-traded company, which operates out of 49 locations in Ohio, West Virginia and Kentucky through its Peoples Bank subsidiary. The transaction was announced on April 4, 2014, and was completed in the third quarter of 2014. In January 2014, our firm represented DataCenter.bz, LLC (and its affiliated companies) in the sale of all of the membership interests in the companies to Cologix, Inc. DataCenter.bz operates an interconnect hub and two enterprise-grade, network neutral data centers (designed to highly-secure Tier IV standards) and is a leading interconnect point in Ohio. Cologix is a leading network neutral interconnection and data center company headquartered in Denver, Colorado, and operates network neutral data centers in Columbus, Dallas, Jacksonville, Minneapolis, Montreal, Toronto and Vancouver. Kegler Brown represented PIADA Italian Street Food, an authentic fast-casual Italian eatery based in Columbus, Ohio, with restaurants in Ohio and Indiana, in connection with a significant growth equity investment made by Catterton Partners, the leading consumer-focused private equity firm. Terms of the September 2013 transaction were not disclosed. At the time of the investment, PIADA had 14 locations across the Midwest, with 6 planned to open by the end of 2013. In 2013, PIADA was named one of Nation’s Restaurant News’ five “Hot Concepts” as well as one of Nation’s Restaurant news’ top 50 breakout trends. Kegler Brown represented the controlling shareholder of TDCI, Inc. in its sale of TDCI to Infor (US), Inc. TDCI, headquartered in Columbus, Ohio, provides leading software product configuration management solutions to manufacturers and distributors of customizable products and services. Infor is a leading provider of business application software that serves more than 70,000 customers in 194 countries. Financial terms of the May 2013 transaction were not disclosed. Kegler Brown represented a strategic operating company in connection with its acquisition of a B2C e-commerce platform acquisition from a private equity firm. The acquisition was completed in July 2012. Our firm represented the management team in a leveraged buyout of a leading turn-key industrial machinery maintenance and installation contractor. Terms of the February 2012 transaction were not disclosed.